When patients are admitted into our hospital, not only do they come in with their own expectations of the care they should receive, but most of the time our patients’ time spent in the hospital is accompanied by pain. Whether they have this pain before they come in, or after they undergo a procedure, pain can affect our patients’ mind, body, and spirit. Pain also influences how patients perceive their pain management and overall care. 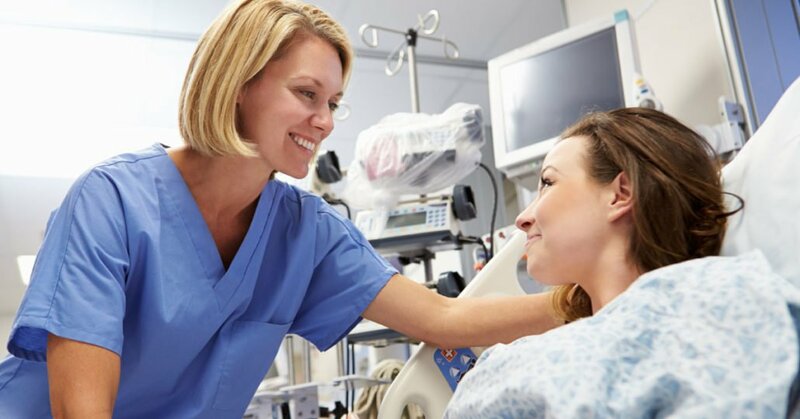 Effective pain management is essential to maintaining a positive patient experience, as well as a basis for comprehensive and compassionate care. The first step in setting expectations is taking the time to listen to the patients. As providers, we are bombarded with tales of pain and woe throughout every shift we work, but for your patients, the pain they are experiencing is new, foreign, and frightening. By truly listening to their complaints, you will be able to better understand how to treat their specific needs. Involve the family of the patient in this step as well. While some patients want to tell us every ache and pain they experience throughout the day, others are hesitant to “trouble” us. Patient families are excellent sources of information in these circumstances. Before you administer a medication, take the time not just to let your patient know what you are giving them and why, but really take that time to set their expectations. As a basis, you should explain the medication you are giving, the dosage, why it is being given, and possible side effects. Additionally, let your patient know how long she will need to wait until the medication takes effect, and set a time that you will return to check on how her pain is progressing. Repeating this information every time you administer the medication may seem like a redundant waste of time, but your patients are not health professionals. Their medications have unfamiliar names and it takes them time to learn the purpose behind each drug they are taking. By reciting the name, dosage, reasons given, and possible side effects each time you administer it, you are empowering the patient to learn more about her treatments and take ownership of her own healthcare. Once you have heard what your patient is experiencing, work with the patient and his family to set realistic pain goals. Medications and treatments are not going to eliminate pain, instead, they are designed to control it. When creating a pain control plan with the patient, avoid statements like, “This will take care of that pain…” or “This medication will knock that pain right out…” These only serve to patronize our patients. Patients don’t want to be placated or dealt with as if they were a problem to solve; instead, they appreciate honest communication. Trust your patient’s assessment of his own pain, and develop his pain goals with him and his family. Whether the pain goal is to decrease the pain to a certain level, or to decrease their pain by a certain amount, work with the patient to create common expectations. Use this opportunity to set other goals as well. These goals can include functional goals about mobility, goals about sleeping, or even emotional goals. As long as you work together with your patient and his family in creating the goals, everyone involved in his care will be on the same page and work towards the same goals. While, for many patients, their idea of pain management includes using pain medication, others may appreciate the suggestion of alternative or non-pharmacological, methods. These can include everything from simple efforts such as repositioning, heat or ice, or even hand-holding; environmental changes like aromatherapy or music therapy; skilled modalities such as massage or acupuncture; or even simple distraction techniques like exercise, using a mobile device, reading, or welcoming visitors. The particular method of alternative pain management is not really the issue here. The idea is that, by suggesting alternative methods in addition to pain medication, you will drive home the idea that you are doing everything you can to manage your patient’s pain. Patient education is probably the single best practice you can employ to improve your patients’ perception of their pain management. Studies have shown that patient education and patient involvement in setting goals not only impacts the patient’s perception of their pain management, but patients have even reported decreased and more tolerable levels of pain. By listening closely, working with your patient to set goals, maintaining expectations, and offering alternative options when it comes to pain management, you will be able to create an Always Culture in your healthcare facility.